Building your own gaming PC is the preferred route for many serious gamers but as I’ve stated previously, not everyone is a hardware enthusiast. With no shortage of boutique builders and traditional manufacturers ready to sell you a pre-configured gaming PC, narrowing down the ideal machine for a particular budget and desired performance range can be a time-consuming (and confusing) process. 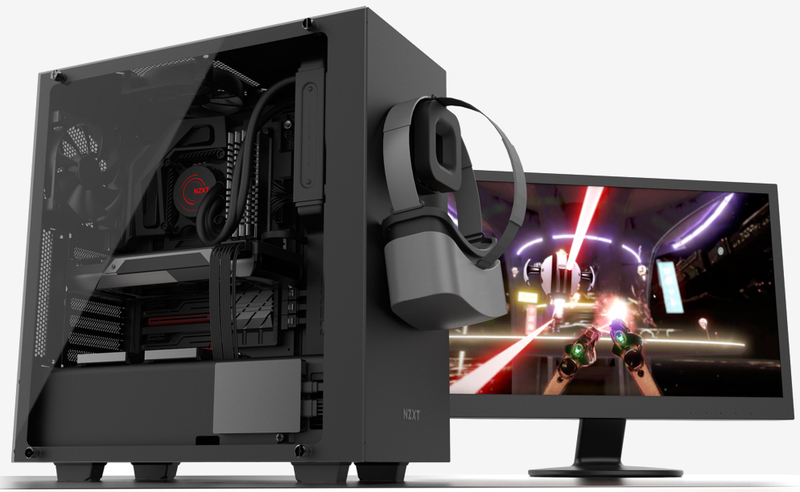 PC case and accessory maker NZXT wants to help. Founded by Johnny Hou in 2004, NZXT gained recognition with its very first case – the NZXT Guardian – which helped spark the “crafted” computer chassis era. After expanding to include power supplies, cooling products and other accessories, the Los Angeles-based company is now ready to try its luck at custom PC building. Using the BLD online configuration tool, gamers first select some of their favorite games from a list that includes titles like Battlefield 1, Fallout 4, Diablo III and Grand Theft Auto V. Next, select your budget – $1,500, $2,000 or $2,500 – then sit back as BLD works its magic based on more than 10 million hours of analyzed gaming data and spits out a configuration within your price range that’s guaranteed to hit target framerates for the game(s) you selected. If you’re after a specific component, you can tweak BLD’s configuration to accommodate requirements you may have (a GTX 1080 versus a 1060, for example). Systems are custom-built within two business days and then shipped out. Each carries a two-year warranty and if a configured system fails to come within 10 percent of a guaranteed framerate, you’re entitled to a full (free) refund.